Finding asteroids takes practice. Remember that you are looking for a yellow dot and a blue dot close together. The dots should be fairly small and bright. The yellow dot can be reddish-yellow or greenish-yellow, but the blue dot will always be dark blue. Most importantly, the two dots should be close together: no more than a few millimeters (about an eighth of an inch) apart. If two dots are more widely spaced, they are probably two separate stars, not an asteroid. 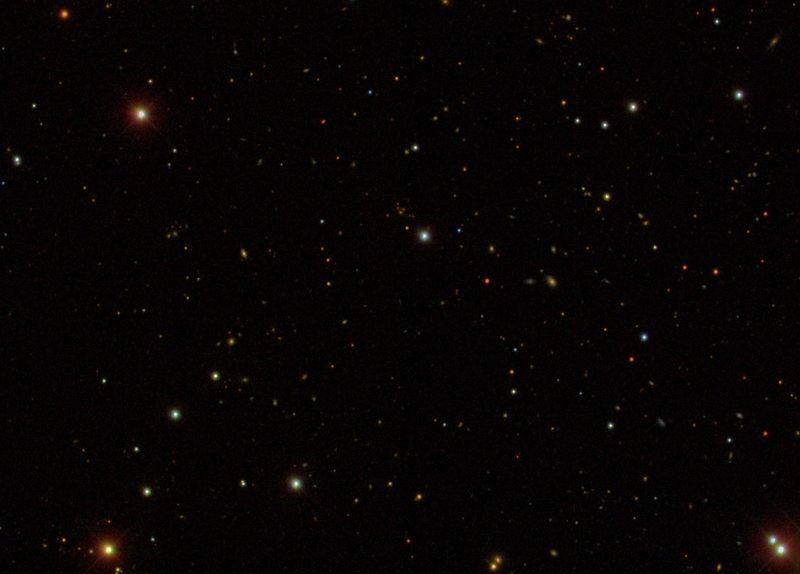 Can you find the asteroid in this image (click to open a larger version in a new window)?